Iswar Chandra Vidyasagar ( ঈশ্বর চন্দ্র বিদ্যাসাগর ) was a great son of Mother India. He was a great multi-talented social reformer, educationist, and a great lover of mandkind. He also a great friend of the poor and the helpless. He was born on 26th September , 1820 at Birsingha in the district of Midnapore. His father's name was Thakurdas Bandyaopadhyay and Bhagabati Devi was his mother. He graduated from Sanskrit college in Kolkata. Later he was the Principal of that collage. 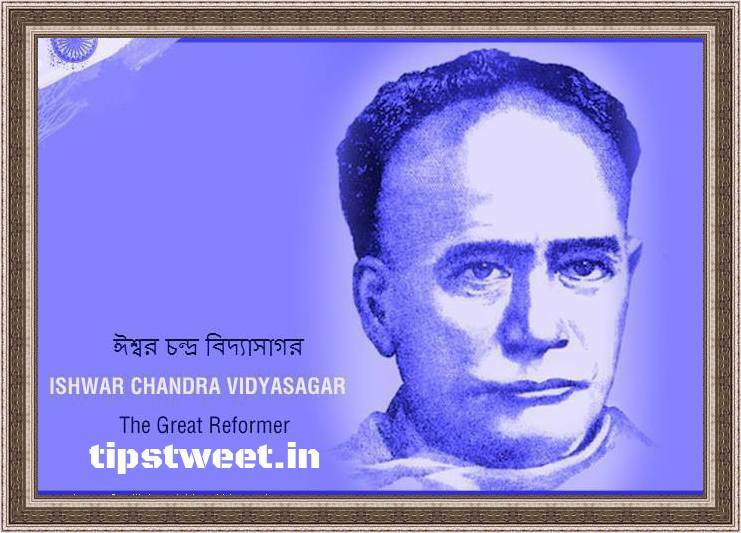 He was given the respected title 'Vidyasagar'. - the ocean of learning. Vidyasagar is a combination of two Sanskrit word. ‘Vidya’ means ‘knowledge’ and ‘Sagar’ means ‘sea or ocean’. Thus, Vidyasagar means “Ocean of knowledge and wisdom. He was also the Inspector of school. He wanted education for all. He set up many school in rural Bengal. With his active help, the Widow Remarriage Bill was pass in 1856. This great man left us on 23 November,1891 .